The HP Integrity rx6600 Server is a highly expandable platform for workload consolidation and virtualization that redefines the entry class. 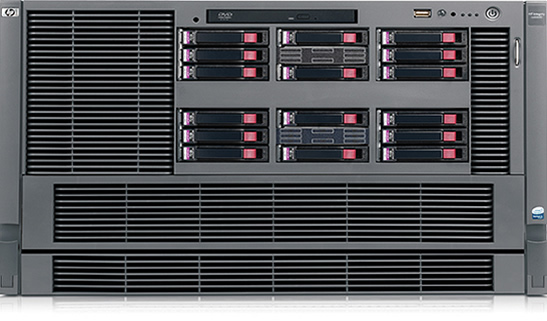 This next-generation HP Integrity rx6600 server is capable of handling the business-critical workloads previously possible only with larger, more costly systems. It is ideally suited for application and database deployments. Its excellent Java™, transaction, and online analytical processing (OLAP) performance distinguishes it from other entry-class servers and sets a new standard for the amount of work that can be accomplished with a 4-processor/8-core system. The HP Integrity rx6600 server’s balanced architecture is built around the innovative HP zx2 Chipset and is combined with the powerful new Dual-Core Intel® Itanium® processor.